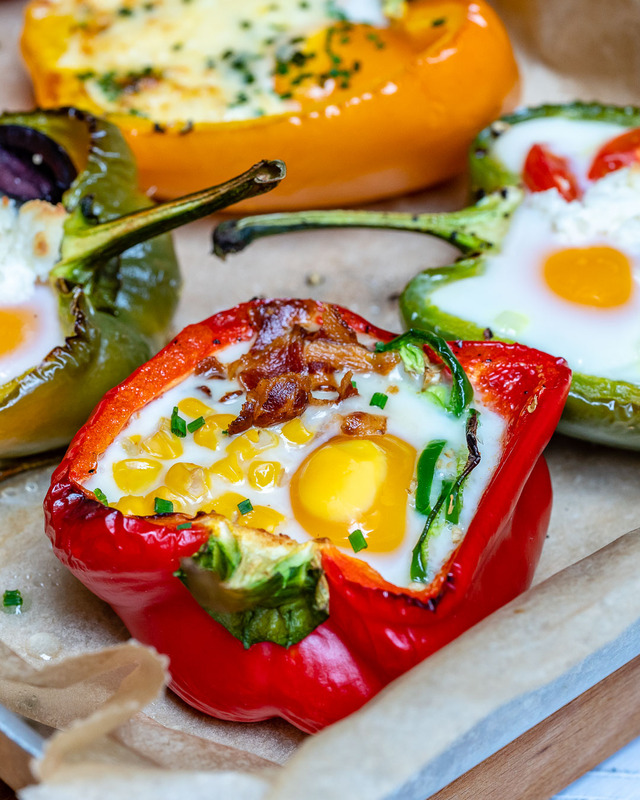 These stuffed peppers are FANTASTIC for breakfast…but, equally wonderful for lunch or dinnertime too, when you’re needing something FAST! 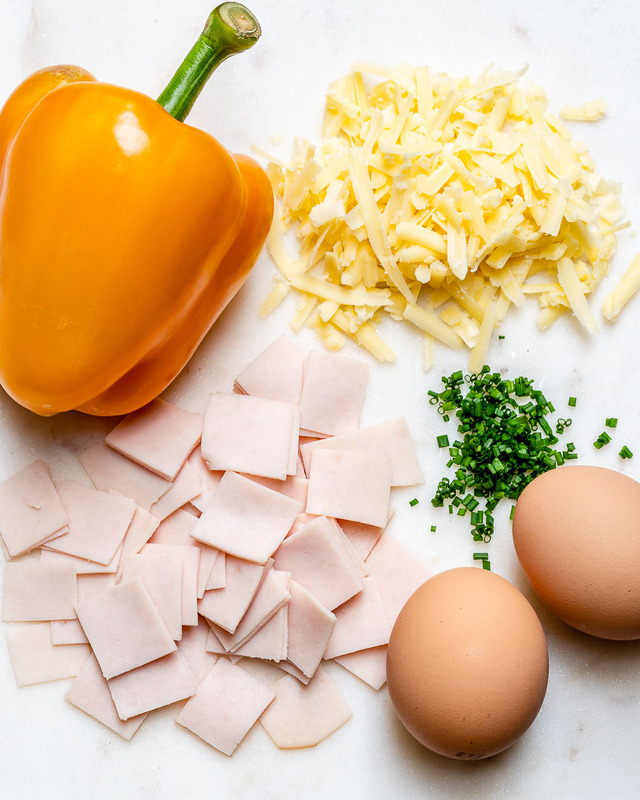 Tell me, which combo is YOUR FAVE!!? 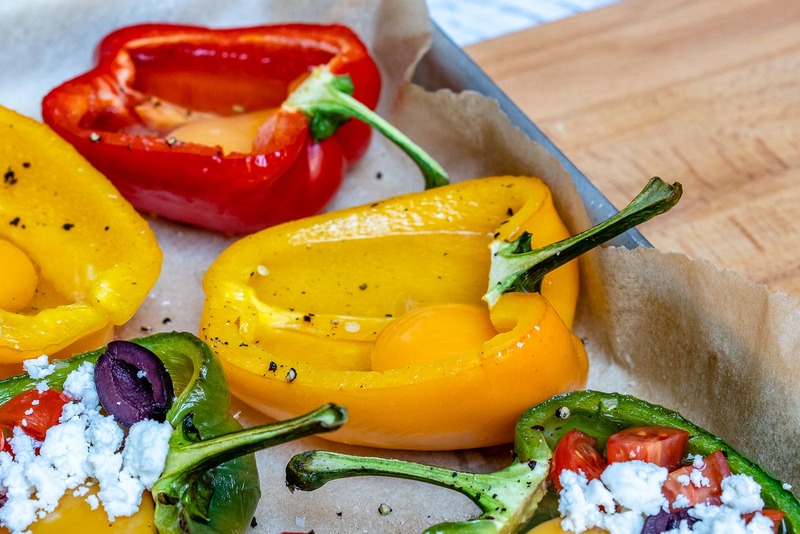 Cut the pepper in half vertically right through the middle of the stem as shown and through to the bottom of the pepper. 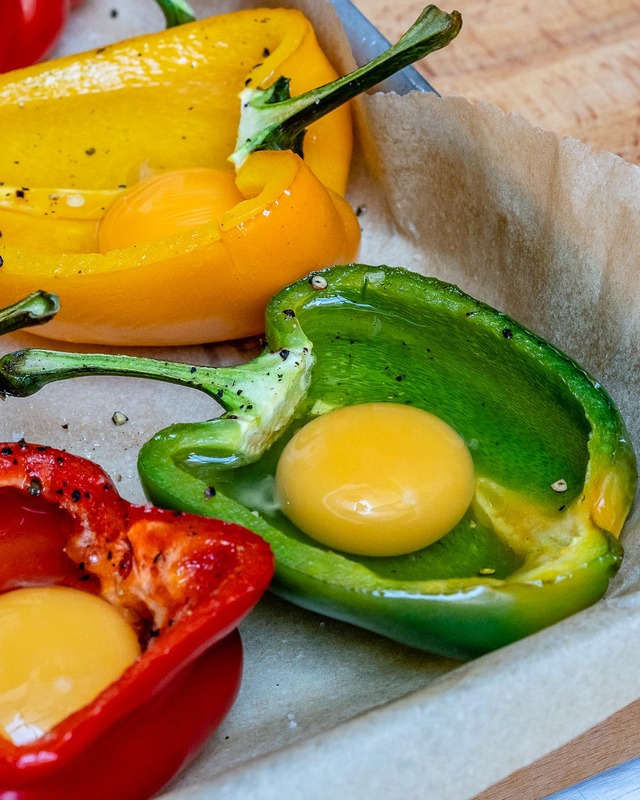 Cut out the seeds and place the peppers on the prepared baking tray. 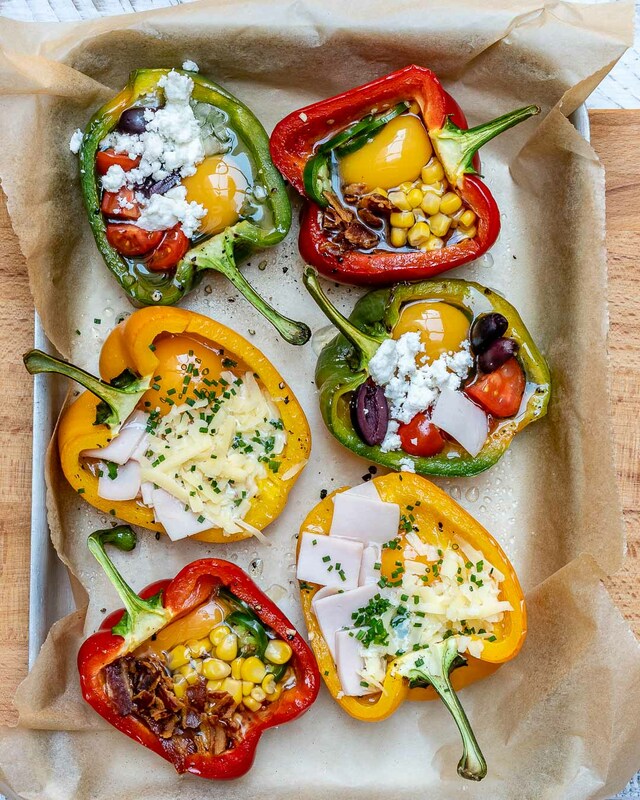 Lightly spray with cooking spray and season with salt and pepper, then roast for 10 minutes. 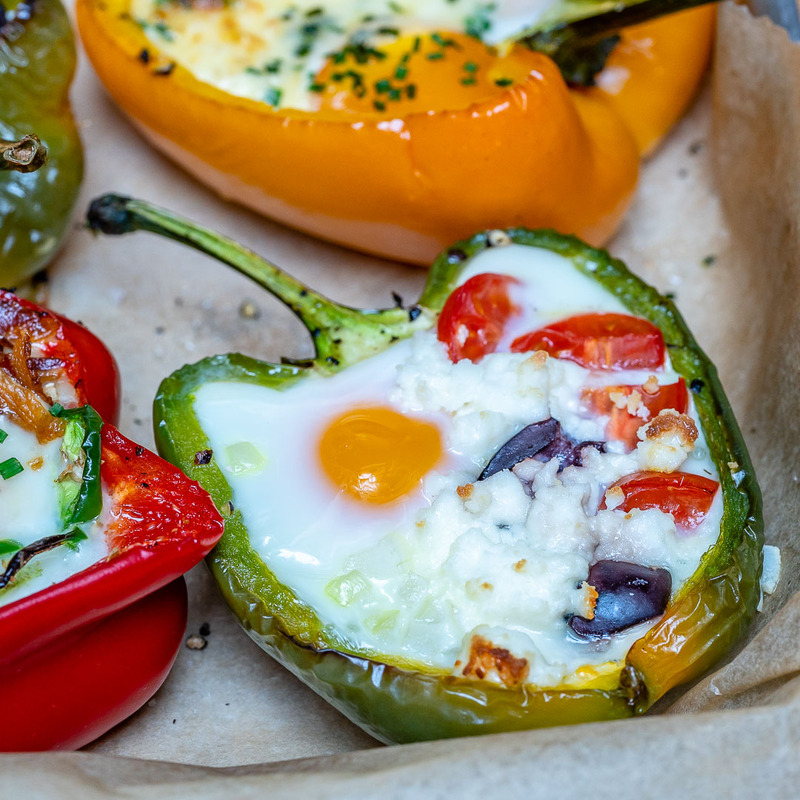 Once the peppers are done roasting, take them out of the oven and very gently crack an egg into each one. 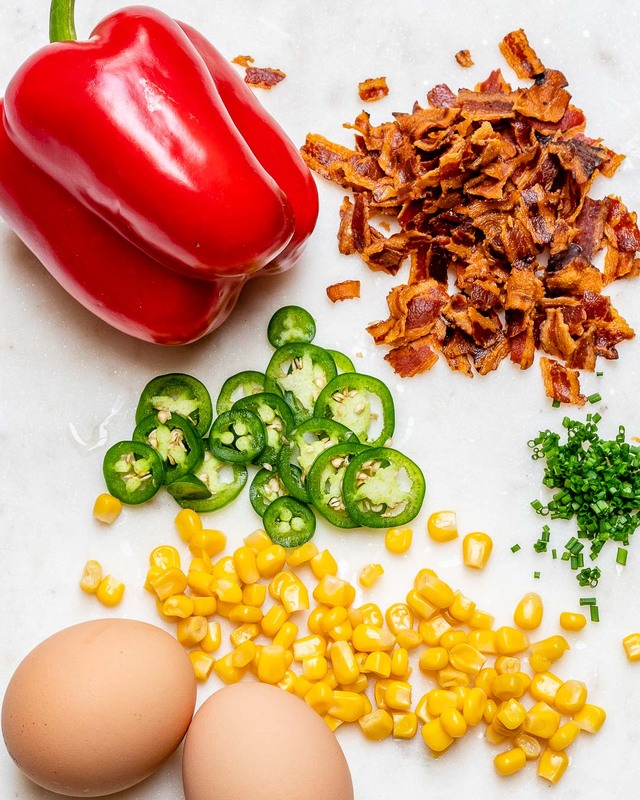 chives; or bacon, jalapeño and corn. 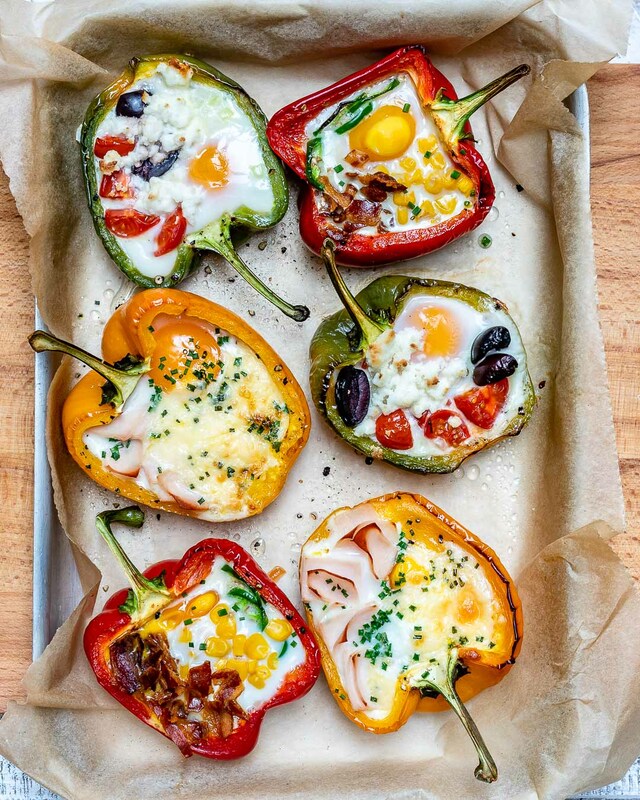 Return to the preheated oven and bake for 12-15 minutes more, or until eggs whites are completely set. 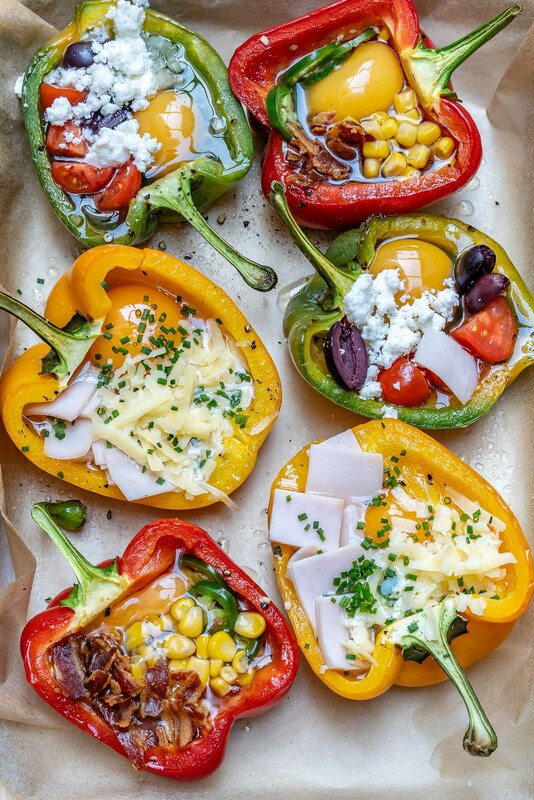 Season with sea salt and pepper if desired and enjoy hot! 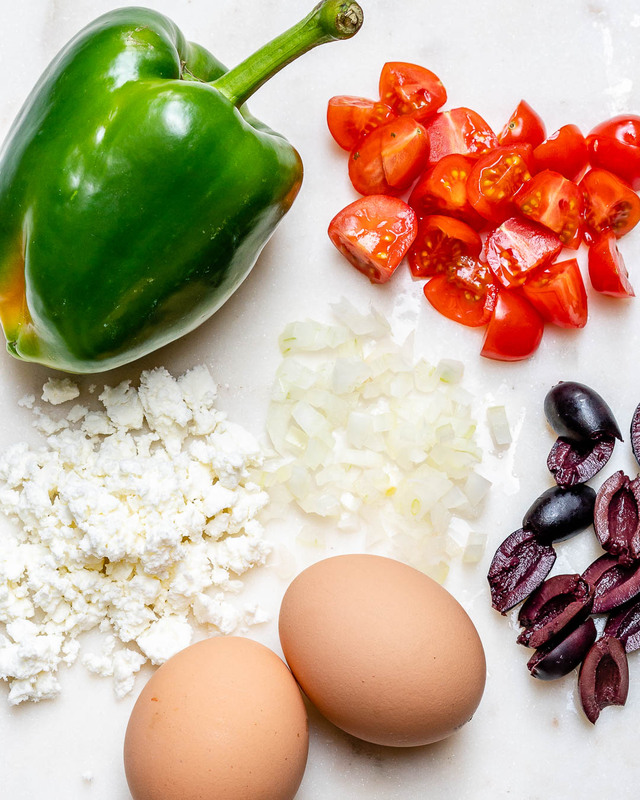 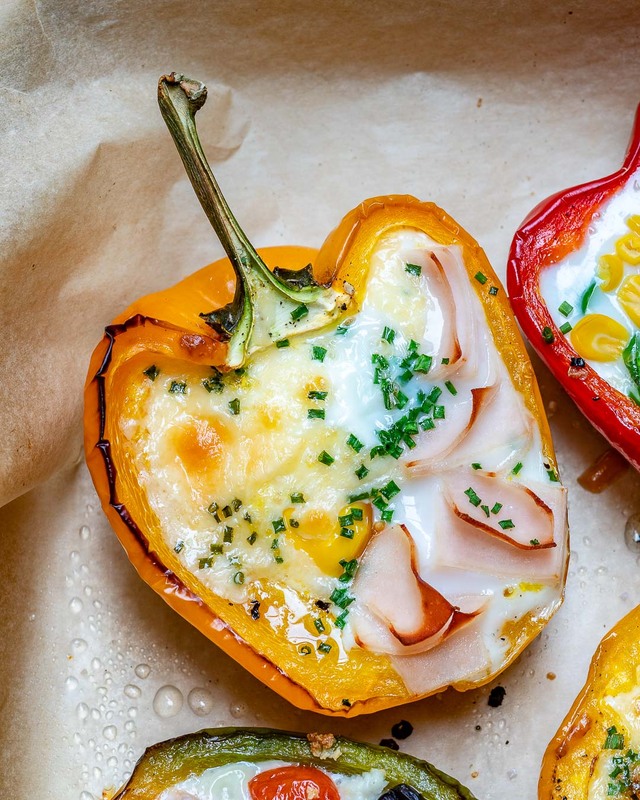 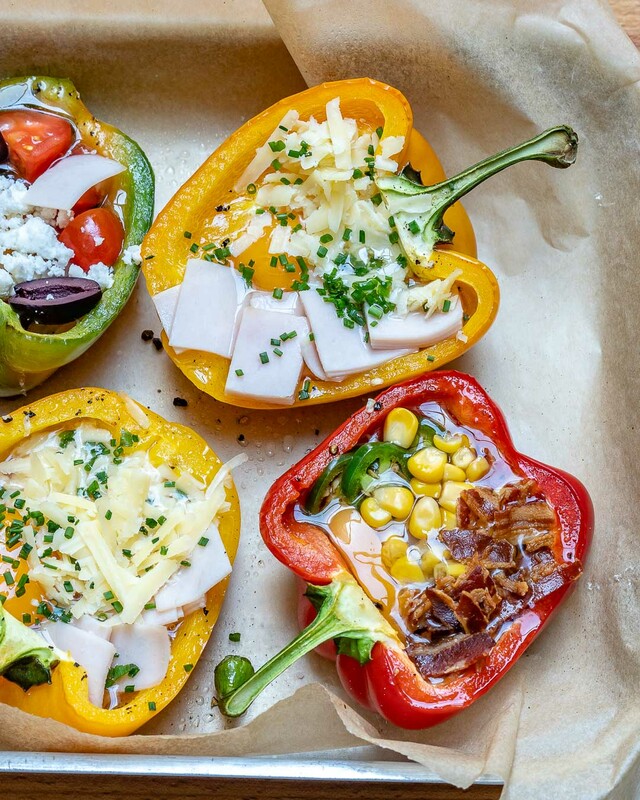 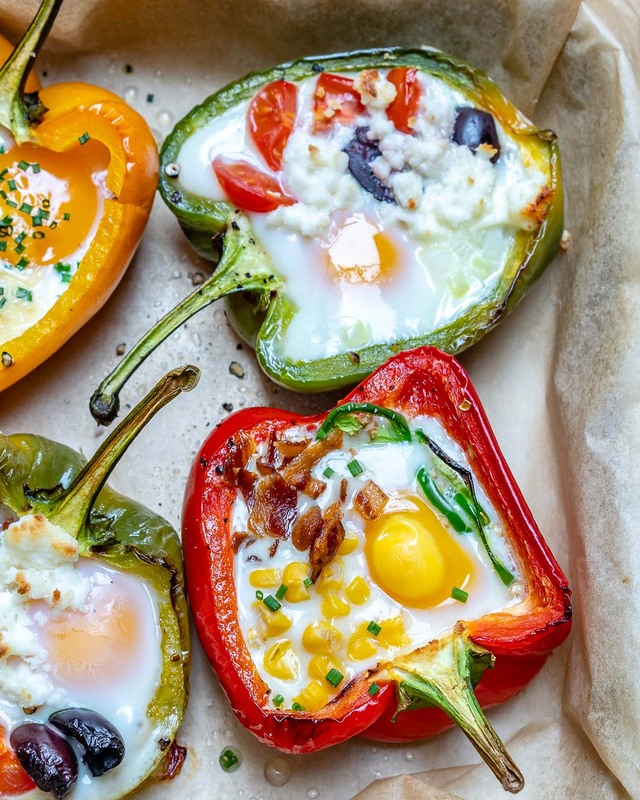 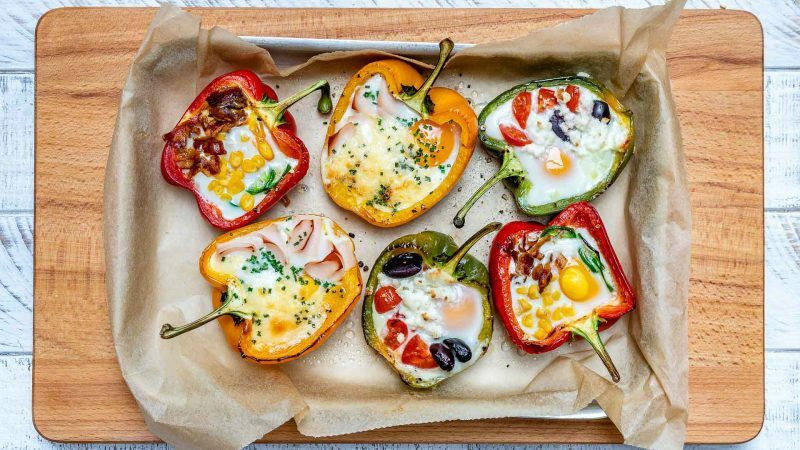 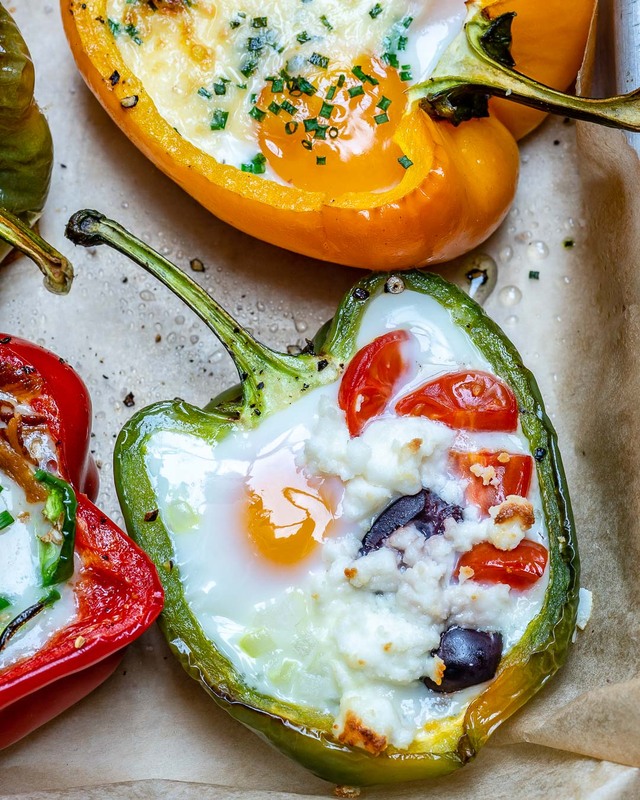 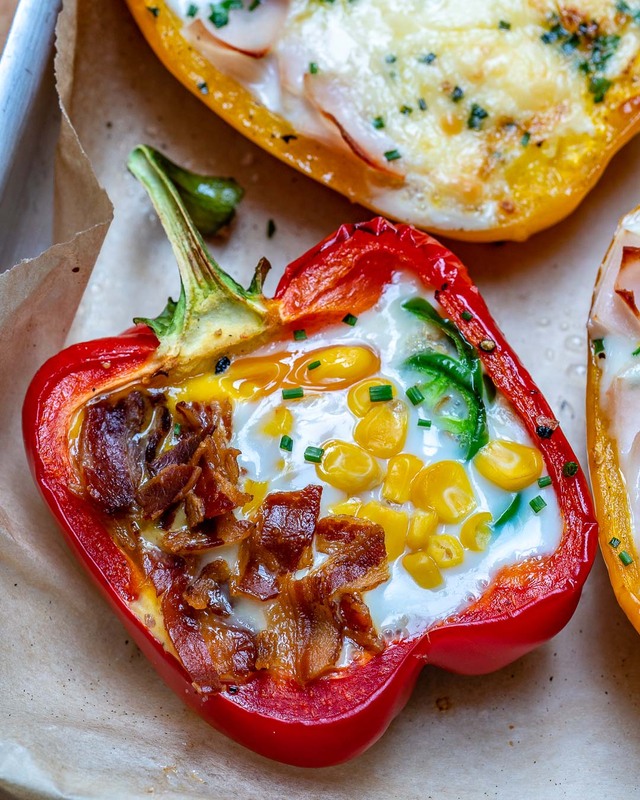 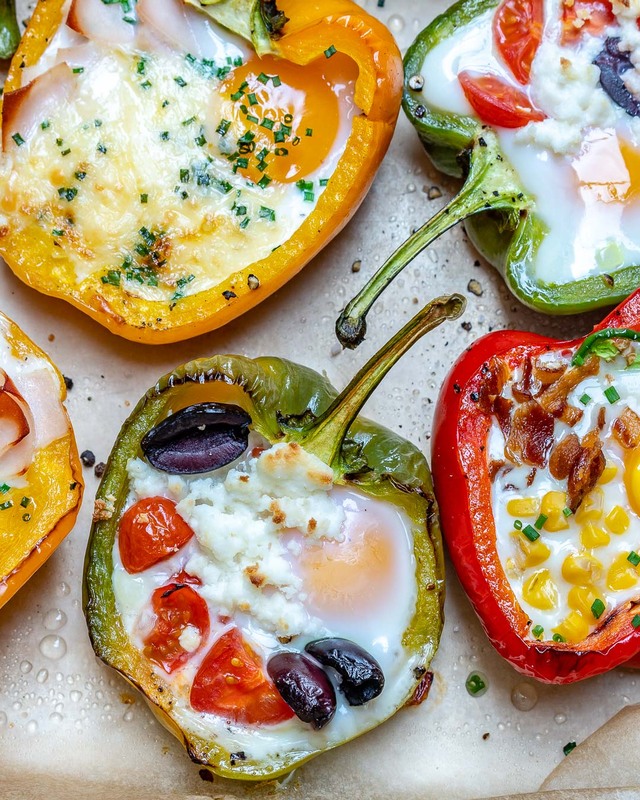 Egg Stuffed Breakfast Peppers for Epic Clean Eating Mornings!